Hi, my name is Claire and welcome to Surviving Severe ME. If you're here it means that you or someone you are close to is ill with ME or chronic fatigue syndrome (CFS) and I'm so sorry that you're having to go through this. I know what it's like. I became ill at the age of 10, I was bedbound for six years, in a darkenened room 24/7. That's when I collected this information, from my own experiences and from things my friends with severe ME experienced. Originally this was published as a book, back in 2002; but with the internet becoming the best place to source information I moved it all online in 2008. You can see some of my experiences in this documentary I did for BBC1 back in 2003. I'm grateful that I'm doing much better than I was - I'm no longer bed bound and my symptoms are much easier to manage. I wish there was a magic solution but the only thing that helped me was learning to listen to my body, pace myself and give it time. I'm not fully recovered yet; but I do believe it is possible to get better. It's happened for me and I hope it happens for you soon too. PS Through a combination of writing this book/site and hours in bed imagining stories, I realised that I wanted to be a writer. It's something I can do from home with as much or as little energy I have on any given day. I've followed my dreams and written a novel. It's taken six years but it's finished. It's currently with a potential publisher and I'm looking for an agent. 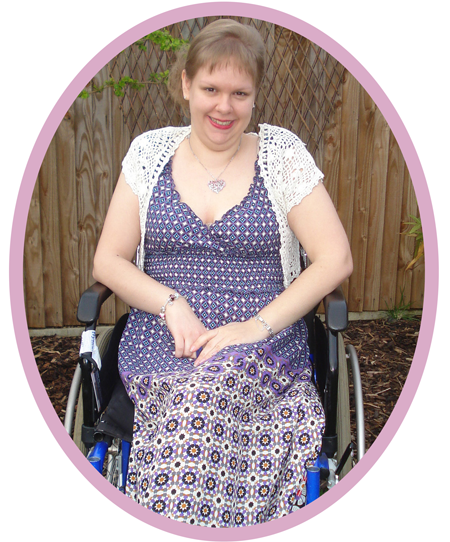 If you want to find out more about what I'm up to now check out www.clairewade.com or visit my Facebook page and say hi.